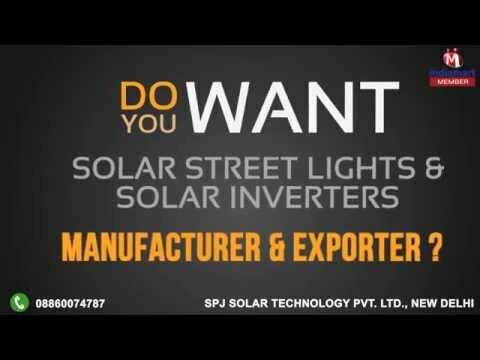 Welcome to SPJ Solar Technology Pvt. Ltd., establishment in the year 2008, The highly commendable range of Solar & LED Products, is manufactured, exported, supplied and wholesaled by us at SPJ Solar Technology Pvt. Ltd., a MNRE, NSIC and ISO 9001:2008 certified Company. This range of products, inclusive of Solar CFL Lights, Solar LED Lights and LED Light, is widely acclaimed and asked for. The utilization of the quality raw materials and sophisticated machinery in its manufacture, in accordance with the industry set guidelines, ensures its standard of quality. Further, the products are known for their superior functionality, performance, service life and reasonable pricing.